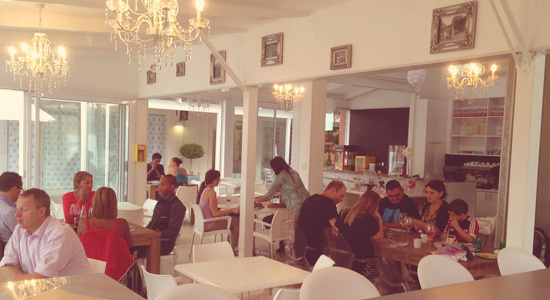 Dutch Haven is the ideal place for functions as it is easily accessible (with two hours free underground parking) and the space is open, light, with comfortable chairs, a good vibe and situated in a beautiful courtyard away from the road side. Our staff are friendly, the chefs love what they do (you can taste that!) and so it is the perfect sociable destination. During restaurant hours we welcome groups up to 12 people who can order off the menu but booking in advance is essential – especially on Saturdays! For groups of 15 or more, we keep the restaurant open exclusively for you on Saturdays between 15:00 – 17:00 making your kitchen tea, baby shower, birthday party or child’s party a celebration to remember.